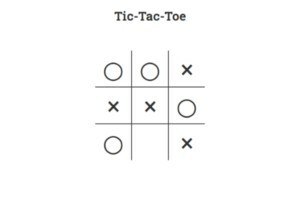 An interactive game allowing the user to play tic-tac-toe against a computer opponent. Uses jQuery. View project on CodePen. 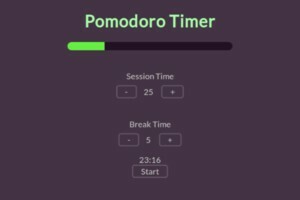 An app that helps the user in applying the Pomodoro Technique of time management. 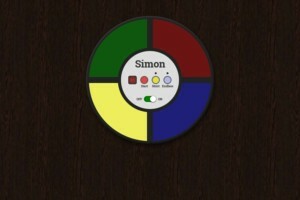 View project on CodePen. 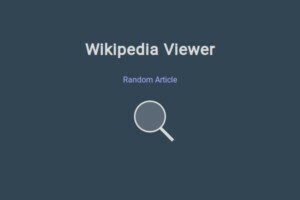 Uses AJAX requests to get search results from Wikipedia. Displays search results using Handlebars template. 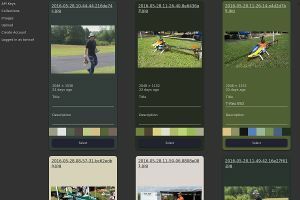 View project on CodePen. A Flask application for managing the membership roster of an RC club. The admin interface lists members based on membership expiry date (current, expired, previous year). Provides JSON import and export. Search using sqlite3 full text search (FTS4). Provides mass email using the Mailgun API for sending newsletters, announcements, etc. Read-only passwordless login is provided to members through a signed token sent in newsletters, or emailed to an individual member via the login page. 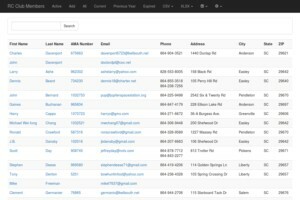 Provides CSV and XLSX export of roster. Uses the Flask framework and peewee ORM connecting to PostgreSQL. Deployed to AWS Lambda using Zappa. GitHub repository at tortxof/rc-club-members. This application provides a publicly-available self-serve form handling back-end. The user retrieves a key pair (secret key and form key) from the app, then uses the form key in their HTML forms. The user can then use their secret key to retrieve submitted form data. The app provides both web and JSON interfaces. Uses the Flask framework. Deployed to AWS Lambda using Zappa. Uses AWS DynamoDB for data persistence. GitHub repo at tortxof/flask-signup. Live at signup.djones.co. Static website built using Jekyll. Started in January 2014. Uses Susy for CSS layout. PDF newsletters are generated using wkhtmltopdf. 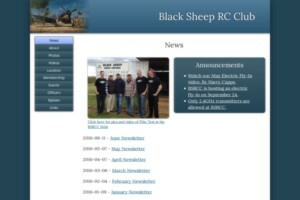 Live website at bsrcc.com. GitHub repository at tortxof/blacksheeprcclub-www.